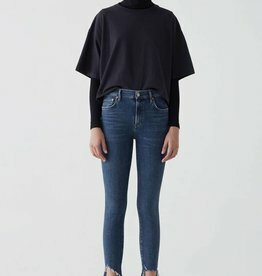 True indigo wash with chewed hem details. 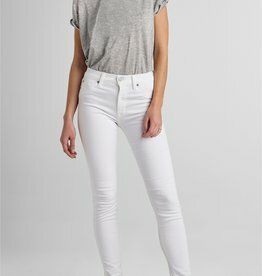 High waist ankle skinny in 9.1 oz super stretch denim in white. 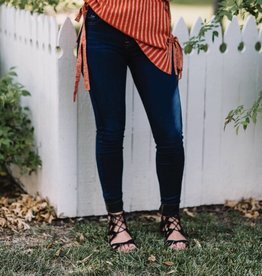 Designed for a classic fit with blue and white racer stripes at the seam. Enhanced with tonal threads, silver hardware and grey label. 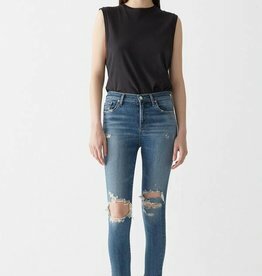 One of our highest rise skinnies, the Chrissy is a classic silhouette and is crafted from stretch denim. The Orbit wash is medium blue with subtle whiskering. 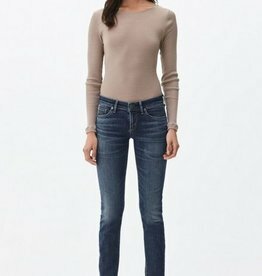 Medium washed denim with subtle whiskering and tears at the knees. 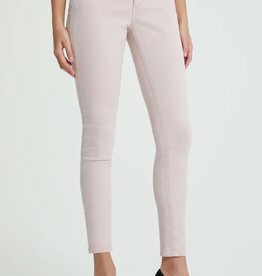 A sophisticated cropped ankle length in our signature skinny. 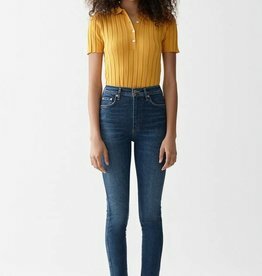 The complementary mid-rise is made for every shape, pushing this wardrobe staple beyond the basics. 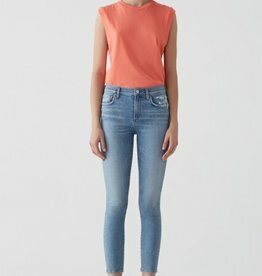 Cut from stretch denim, our bestselling cropped skinny features a clean and classic high-rise. 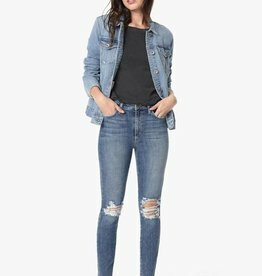 The Reminisce wash is a vintage medium blue with fading throughout the leg and distressing at the knee. 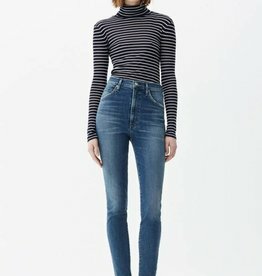 A high-rise, classic ankle skinny crafted in a lightweight Japanese stretch denim. 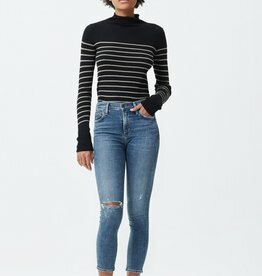 Body-hugging from hip to hem for ultimate style and fit. 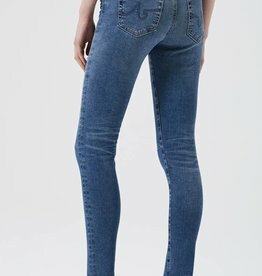 The Racer features a low-rise and full length, slim leg. 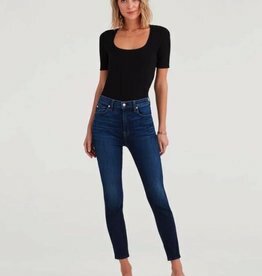 Crafted from our signature stretch denim, the Rival wash is a dark indigo with light whiskering. 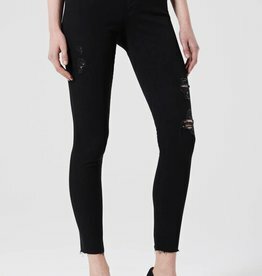 The Barabara High Rise Super Skinny Ankle Jean is a modern take on a classic high rise jean. 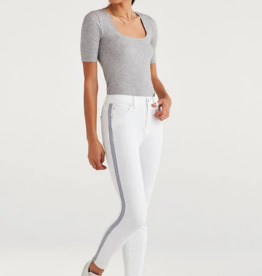 With a slim, contoured fit, an elevated waistline, and a raw hem that sits right at the ankle, this bestselling style is finished in a classic White wash.
Ultra high-waisted, ankle-length skinny fit in our signature soft & light stretch denim. 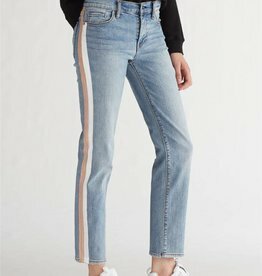 An ankle-length true skinny in signature soft & light stretch denim—features a subtly hand-sanded sleek deep indigo wash.
Update your denim for spring with this signature skinny in a cropped ankle length and gorgeous pale pink. 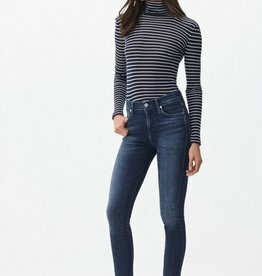 Cut from stretch denim, our bestselling skinny features a clean and classic high-rise. 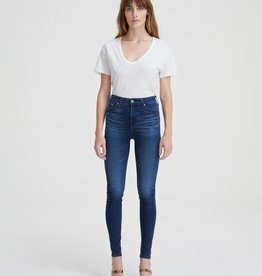 The Down Low wash is a vintage medium blue with fading throughout the leg and watermarked hem detailing.